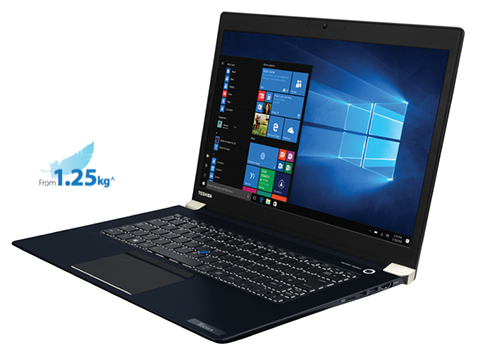 Designed for mobility, the Tecra X40 laptop provides an excellent battery life rating of up to 13.5 hours* so you can tackle business tasks without interruption. Featuring a premium Magnesium alloy casing and honeycomb reinforcement, the Tecra X40 has been tested using the MIL-STD-810G methodology for drops, vibration, shock, dust, altitude, temperature, humidity and solar radiation. Keep your business critical data safe with advanced security features. 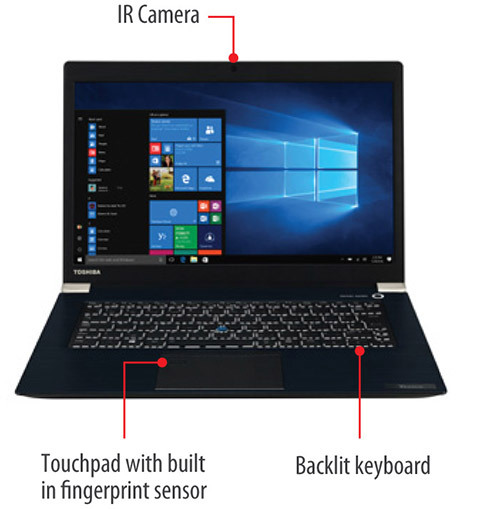 Secured™ with Synaptics® Natural ID fingerprint sensor built right into the computer’s touchpad reader and IR-cameraᶧ for face authentication through Windows Hello or Intel® Authenticate allow you to quickly login to your device securely. 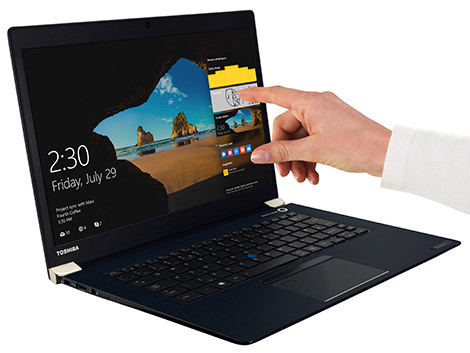 Toshiba’s own built-in BIOS , TPM 2.0 encryption, and SmartCard readerᶧ provide an added layer of security so you can have a peace of mind. 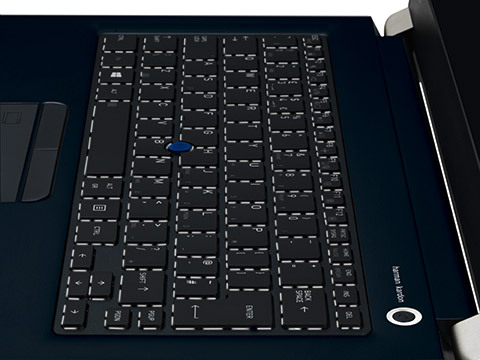 To enhance the input convenience for the user, the Tecra X40 features a full-size, backlit, spill-resistant keyboard with Accupoint® mechanism, plus a smart, dual-point Touchpad with fingerprint sensor. Completed with keys which have been slightly enlarged to ensure optimum travel and durability for users working on the move. 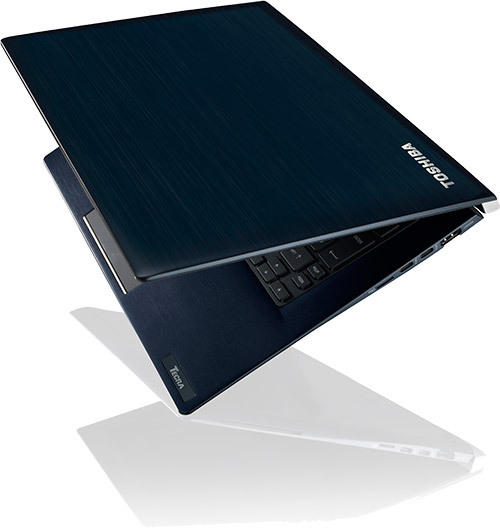 Whether on a plane, a dark lecture hall or a poorly lit room, Toshiba equipped the Tecra X40 to enable users to remain productive. To reduce costs and increase overall business efficiency across the entire organization; the X Series are designed to share common accessories through the adoption of USB Type-C and Thunderbolt™ 3 technologies. 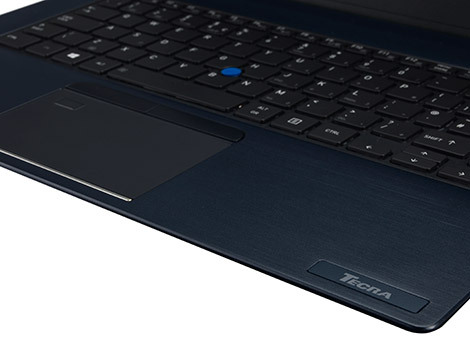 With Toshiba’s proprietary docking solutions, the Tecra X40 laptop can easily connect to desktop peripherals, including printers and external monitors, in a single move. Now that’s smart. 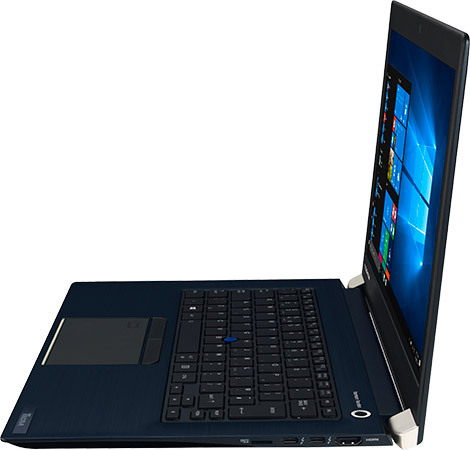 Even with an ultra-slim profile, Tecra X40 comes with 2 USB Type-C™ ports, USB 3.0 port, an HDMI, and a microSD Card Slot as well as a headphone/mic combo port to give you the maximum expansion opportunities available. 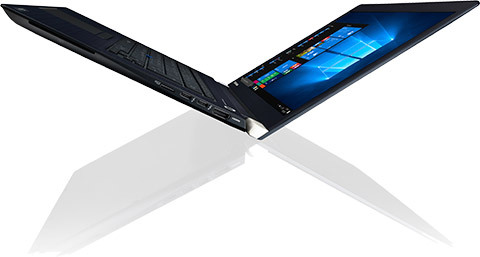 The USB Type-C port features reversible plug orientation and supports Display, Power Delivery and Thunderbolt™ 3. 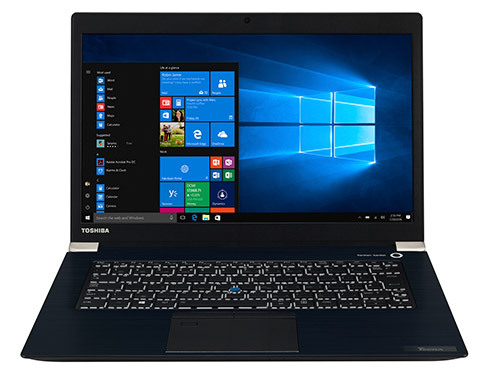 Toshiba equipped the Tecra X40 with a premium audio experience via Harman Kardon® stereo speakers and DTS Sound™ software. 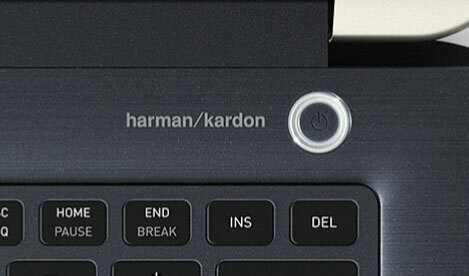 Toshiba’s exclusive custom-tuned speakers deliver a robust, crisp and natural audio from every angle.